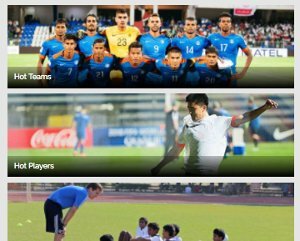 Givson, Bekey and Vikram Pratap Singh scored in India's dominating win over Palestine. 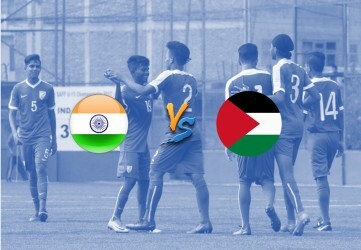 India U-16 kicked off their AFC U-16 Championship Qualifiers with a bang as they thrashed Palestine U-16 3-0 in the first match of Group D of the Qualifiers. 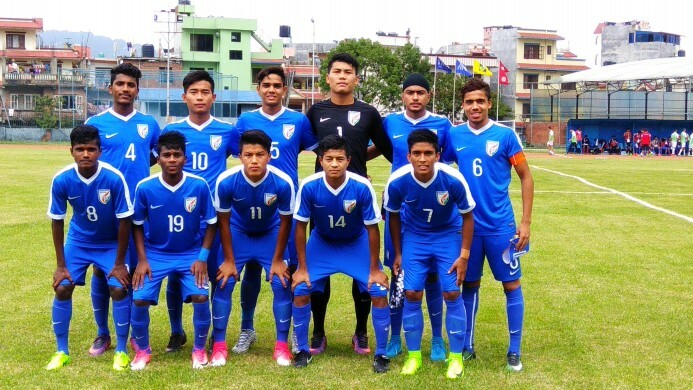 After being frustrated in the first half, the Tigers looked rejuvenated in the 2nd half and stellar goals from Givson Singh, Bekey Oram and Vikram Pratap Singh helped India make a flying start in their quest towards qualifying for the AFC U-16 Championships. 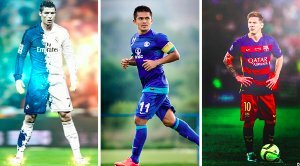 The Young Colts started with a similar team which won the recently concluded SAFF U-15 Championships in Nepal, with the mighty impressive Vikram Pratap Singh leading the team from the front. India were off to a positive start as they had the lion's share of possession in the early minutes and Vikram Pratap Singh had a good chance into the 2nd minute but his shot went sailing over the net. The Tigers kept on mounting on the pressure against the frail Palestinian team that seemed to be maintaining a high defensive line and pressing hard to force a counter-attack, as a dangerous corner from them was punched away by Lalbiaklua Jongte. Palestine continued to frustrate the Young Colts as they were containing Vikram Pratap and the likes of Ravi Bahadur Rana really well. India got a glorious opportunity to take the lead in the 11th minute when Vikram Pratap finally went past the defenders and provided a brilliant cross for Bekey Oram, whose shot went just wide of the mark. The Palestinian team were looking for every opportunity to break with their pacy captain Rowaid Shaikh and attackers Ahmed Issa and Sadeq Obaid, but were being contained really well by the defenders. While India were looking dangerous with their long balls and crossing, they failed to conjure up a real opportunity due to the stellar defensive work from Palestine. Wing-back Samir Kerketta did some brilliant work on the right-wing in the 26th minute and delivered an inviting ball to the middle, but Ricky John failed to head it home. India received their best chance yet a few minutes later around the half an hour mark. The Tigers received a corner which was connected brilliantly by Harpreet Singh, whose header saw the ball blast the post and the long rebound from Gurkirat Singh was saved by Mohammed Hamed. India kept on looking for the opening goal and the players were shouting for a penalty in the 32nd minute when a Palestinian defender seemed to have handled the ball inside the penalty area. It started raining heavily in Kathmandu a few minutes later which made conditions even more difficult to play in. The Young Colts managed to launch an impressive attack in the final minutes of half-time as a great long ball was launched into the attack, but Harpreet was in an offside position when it looked he may be in a region to score. Palestine were being roared on by their vocal supporters in the beginning of the 2nd half, which they started on the front-foot. Palestine looked really dangerous and provided some nervy moments for India's defense, but couldn't get past the brilliant Jongte. India regained their momentum some minutes into the half as Ravi found himself in some space near the penalty area, but couldn't create a real opportunity. But India got a superb chance when Vikram was fouled just outside the penalty box in the 50th minute. Givson Singh went on to take it and hit an absolute belter of a free-kick, which beautifully curled into the net and gave the Tigers the much-deserved lead. The Young Colts seemed to gain a lot of confidence from that and almost doubled the lead a few minutes later when Vikram Pratap Singh almost poked the ball into the back of the net but was saved well by Hamed. They received another chance at the 61st-minute mark when a brilliant ball was delivered from the right wing but Ricky's weak shot couldn't creep into the goal before it was cleared away. A minute later, Vikram Pratap found himself on goal but couldn't manage to catch up with the ball before Hamed ran up to collect it for himself, risking his own body to keep Palestine into the game. The Tigers kept on pressuring for a goal which could seal the match, as Lalchhanhima Sailo found some space outside the box and blasted a vicious shot which just went over the bar in the 69th minute. The attacking flurry finally reaped its rewards for India as they doubled the lead in the 72nd minute through a beautiful strike from Bekey Oram, who headed home from a great cross from Ricky John. The Young Colts were enjoying themselves on the pitch and almost scored another a few minutes later when Lalrokima showed some fancy stuff on the left wing and drifted into the box and passed to Givson, whose weak shot was easily saved by Hamed. Palestine looked exhausted and the Tigers were pouncing upon their errors as Vikram Pratap Singh found himself through on goal in the 79th minute and calmly finished to bring himself on the score-sheet and get an unassailable lead for India. India seemed to be content with the result as they replaced Bekey Oram and skipper Vikram Pratap Singh with Harpreet Singh and Ridge Melvin in the last minutes. The Colts tried to maintain possession but Palestine mounted every bit of their energy into getting a goal in the dying minutes. They struck the post in the 88th minute after a great save from Jongte to keep the clean-sheet as India kicked off their AFC U-16 Championship Qualifiers on a high note and asserted themselves as early favorites with this dominating victory.